This was Ty Cobb's favorite salsa since he was nicknamed the Georgia Peach, Cobb had a great career and is a baseball Hall of Famer. 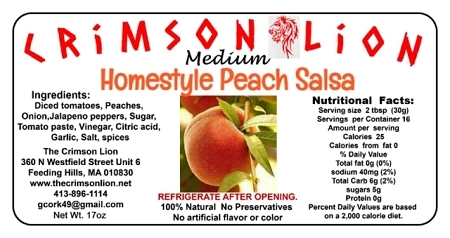 Thus we named this popular salsa after the Georgia Peach Ty Cobb himself. Contains diced tomatoes, onions, jalapeno peppers, sugar, tomato paste, vinegar, citric acid, garlic, spices. We like it on fish and Tilapia in particular.